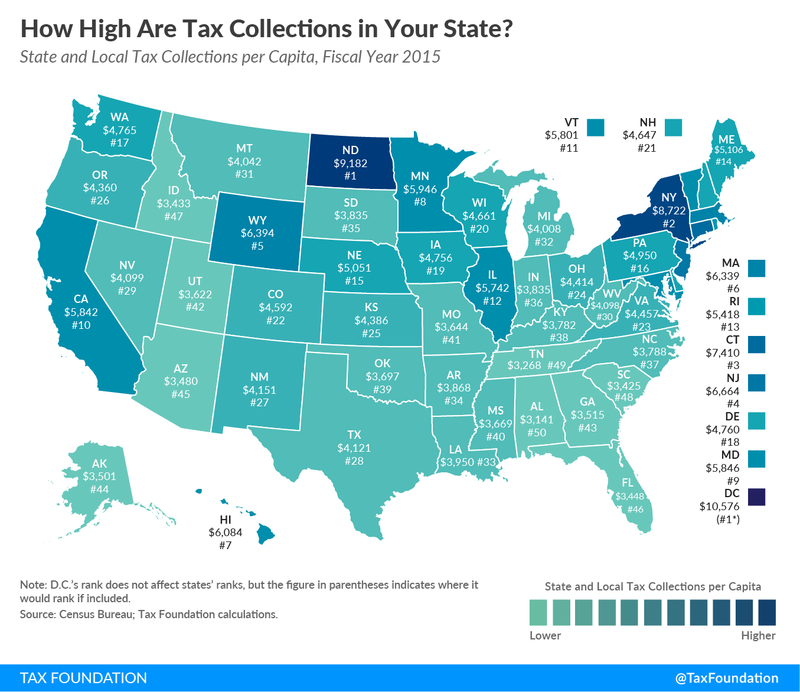 Today’s map shows total state and local tax collections per capita in each of the 50 states and the District of Columbia. The District of Columbia’s tax collections per capita ($10,576) are higher than in any state. Among states, tax collections per capita vary widely, from $3,141 per capita in Alabama to $9,182 per capita in North Dakota. Many people are surprised to see North Dakota as the state with the highest collections per capita, but this leads to an important conversation about the strengths and limitations of different ways to measure taxes. Taxes can be evaluated according to their marginal rates, effective rates, tax burdens, collections, and so on. While per capita measurements allow comparison across states with different populations, they do not show who is actually bearing the economic cost of the tax (the tax incidence or tax burden). In the case of North Dakota, because the state relies so heavily on severance tax revenue from oil extraction—and therefore “exports” a substantial share of its taxes to residents of other states—total tax collections per capita are an especially poor representation of the actual tax burden that falls on North Dakota residents. 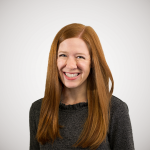 While companies in resource-extraction industries are legally responsible for paying severance taxes to state revenue departments, companies pass the cost of these taxes along to consumers in the form of higher prices. It is ultimately oil and gas consumers across the country who bear the economic cost of oil extraction taxes in North Dakota. Severance taxes in other states have similar impacts on out-of-state residents. It is important to keep both legal incidence and economic incidence in mind when evaluating the true costs of any tax. It is also important to note that severance taxes are far from the only example of “tax exporting” that states engage in. Travel taxes—such as hotel, car rental, and meal taxes—also disproportionately impact nonvoting nonresidents who have few means of redress. As a result, states that generate substantial amounts of tax revenue from tourism may also show total tax collections per capita that are significantly higher than the actual tax burden that falls on the in-state population. To get a better idea of the state and local tax burden per capita in your state, see Table 2 of Facts and Figures 2018.